I have undertaken to build this kit also. I used to be fairly into model building some 20 years ago, but have not done it in a long time. Last Christmas I got my son and I into 1/16 RC tanks, and I pulled out all my old modeling gear to do a custom paint job on a Jagdpanther. Well, I have been playing the Silent Hunter series of uboat simulators for years and years now, and have wanted to build a uboat model. So, here we go! My goal is to build the kit fairly stock, though I am tempted by (and scared of! ) those nice photo-etched AA guns! 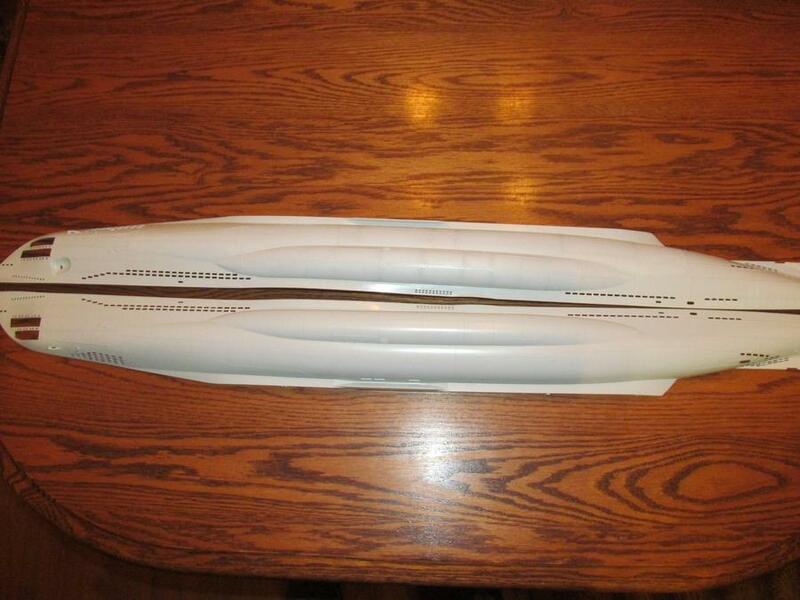 I know Foxbat did a lot of corrections to the kit for U-995, moving some of the drainage holes. I am going to open them, but not move them. 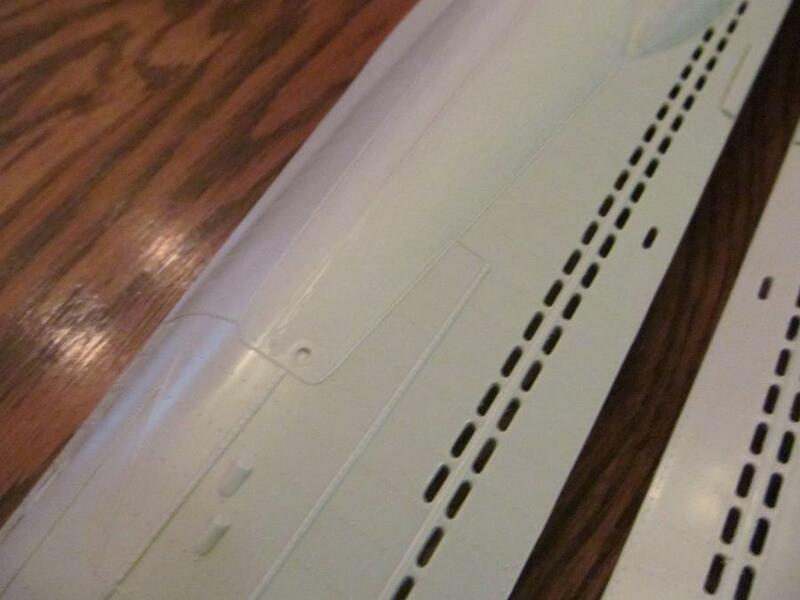 He also did a lot of surgery to splice in PE drain hole panels into the hull. 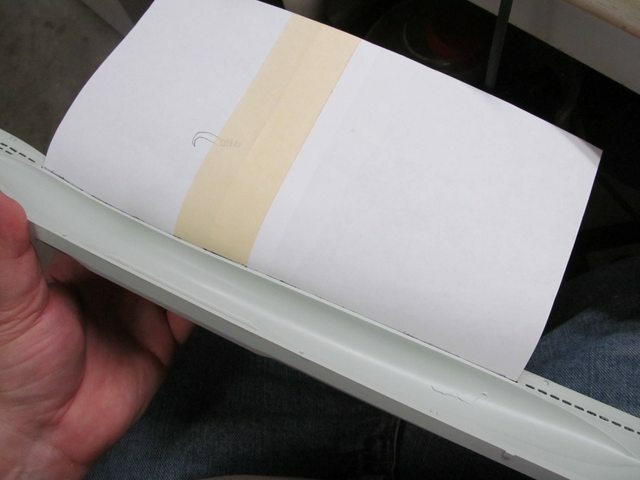 I have decided not to do that but rather thin what is there and open them. 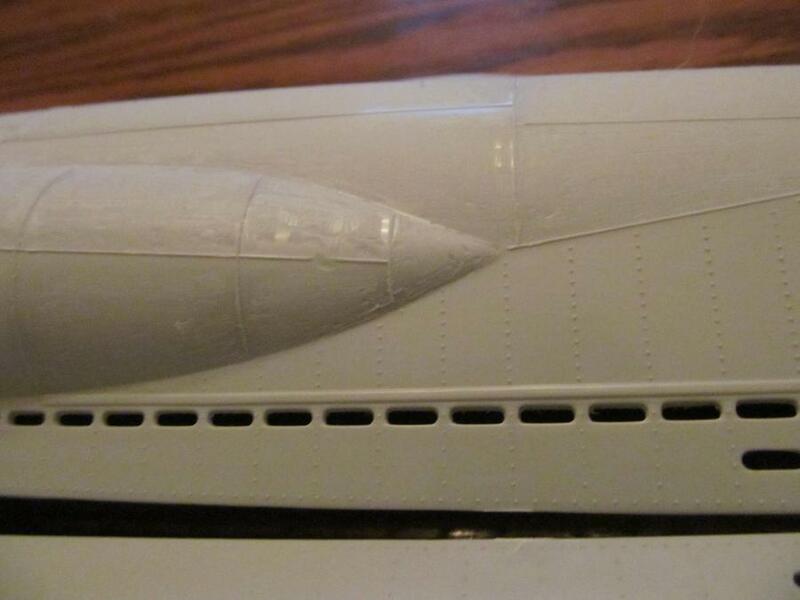 I also intend to open the side of the boat above the saddle tanks as Foxbat did. I'm debating doing the "oilcanning" technique on the hull. 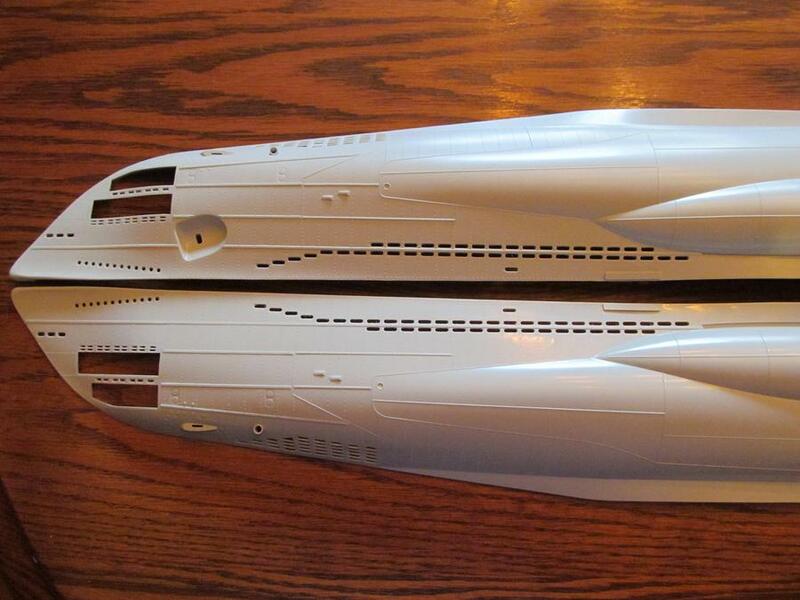 I will probably do texturing on the main hull plates as he did. First, I opened up the row of circular vent holes on the bow. I started by thinning the back side until I broke through the "wells" of the holes. I'm using a Dremel tool with a sanding drum. It more smears/melts the plastic away than carves it. I go very slowly as I am terrified of breaking out through the hull. I would like to find the carving tool that Foxbat used! 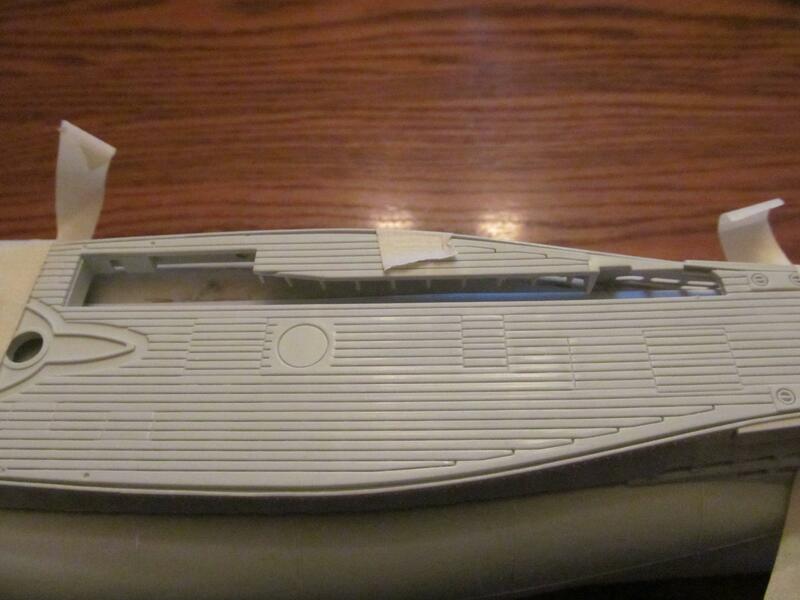 Next I thinned the region behind the bottom vent holes in the bow. 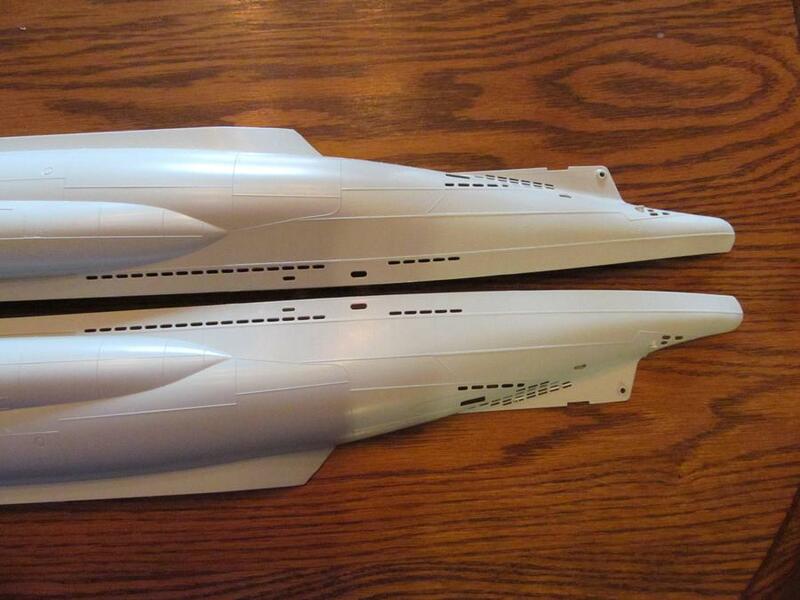 On Foxbat's build he replaced these with PE panels. After thinning them, I carefully cut them open with a sharp Exacto, and then used a needle file to trim them up. I'm mostly pleased with this. Later, I will make a wash of 50/50 water/lacquer thinner, which is said to mildly melt/attack the plastic, and eliminate any micro-fuzz. I saw this technique by another uboat builder on YouTube. Last edited by maillemaker on Sat Sep 03, 2016 10:22 am, edited 3 times in total. I went back and (re-)edited the picture sizes; hopefully this time they take. And this gives me a variety of carving shapes to choose from. I find the tulip-bulb shaped one, like the one Foxbat used, to be particularly useful. You have to watch out though, because it is very aggressive and I have removed too much material a few times and resulted in too-thin and too-weak areas, resulting in some damage to the floods that I later had to repair. As if this was not tedious enough! However, for the main flood holes, I have an approach that I think works better than Foxbat's method. Foxbat would first drill/machine the floods from the outside, through, and then thin. But you can avoid the drilling/machining step altogether by thinning first. 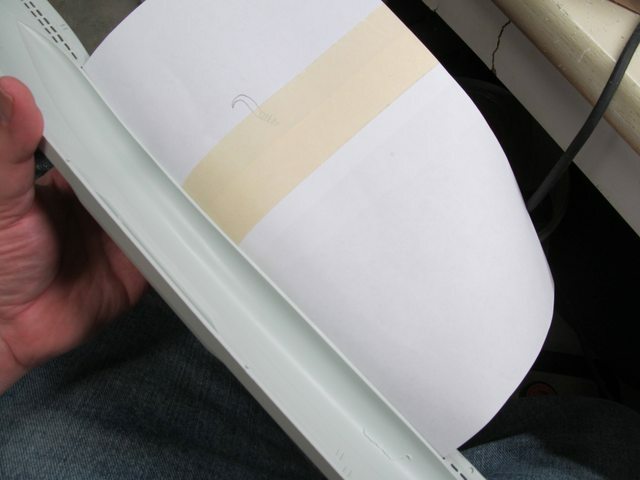 If you thin until you hit the back wall of the fake flood recesses, then you can pretty much just poke the remaining thin web of material out with a dental pick. Run the pick around the perimeter of the cutout and it slicks off any burrs. 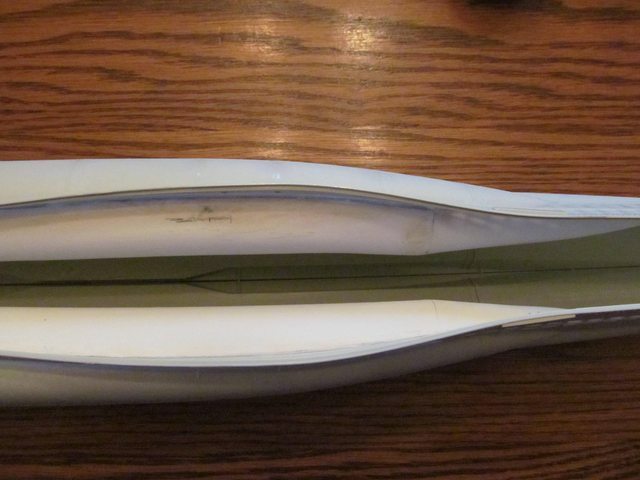 It is good to hold the hull up to a light as you go; as the hull gets thin the light shines through it and you can see where the vents are and how thin you are. Here you can see where I got too aggressive with thinning and as a result I damaged the floods during clean-up. I tried fixing with superglue but ultimately had to glue in replacement styrene. When I broke this I was sorely tempted to buy the photoetch brass and go the route Foxbat did, but I kind of want to keep this a stock build and not sink a ton of money into it. Years ago I got out of modeling because the bar kept getting higher and higher and I felt like I had to constantly push farther and farther, to the point that nothing got done. I'm trying really hard here not to make "best" the enemy of "good". 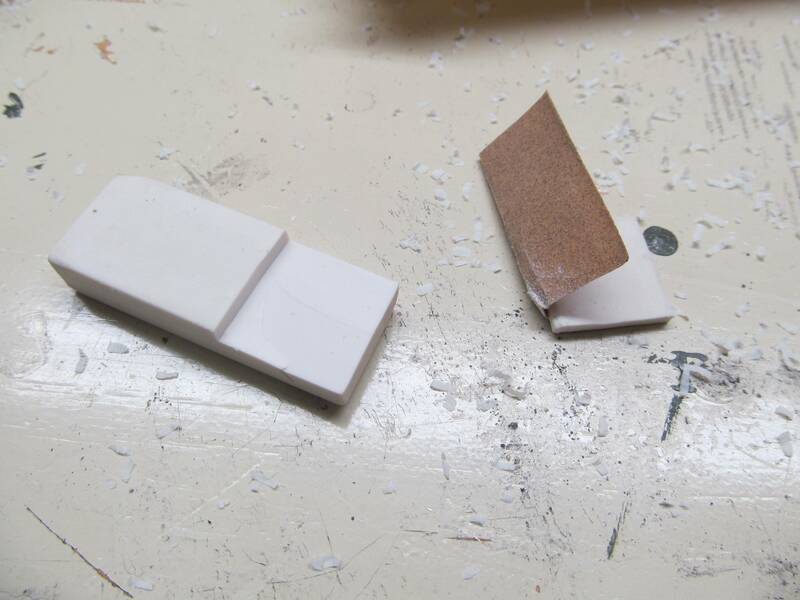 Here you can see my attempt to strenghthen/fix some broken floods with superglue. Didn't work out. Here is what floods look like when I don't screw them up. This is 2 days of work so far. Next up I'm going to oilcan the riveted panels and roughen up the welded panels like Foxbat did. I have opened up all the drains and vents, and have started "oilcanning" the riveted plates, and texturing the welded plates. This is the tool I am using for doing the welded plate textureing. It's a diamond grit Dremel bit. I just lightly go over the entire plate with it. Occasionally I intentionally let it "grab" which leaves little dents in the plate. 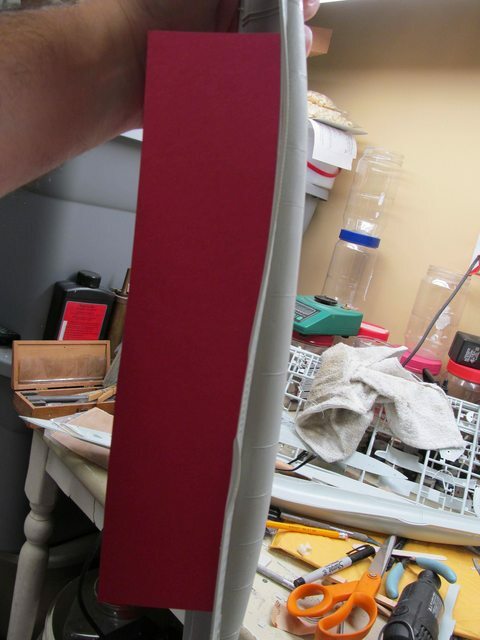 Then I go over the whole plate with sandpaper to smooth out the texture. 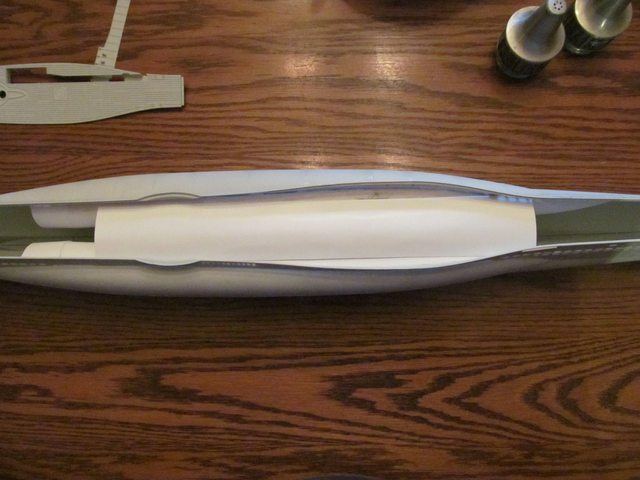 I'm somewhat skeptical that this is authentic on a 2-3 year old submarine even though the current U-995 hull looks this way. It was also allowed to deteriorate before restoration. But I like the effect on Foxbat's boat, so I'm going with it. Texturing goes pretty easily. Oilcanning is a pain in the arse. It's relatively easy to use the curved Exacto blade to scrape out the hollow, but sanding and not knicking the rivets is going to be tedious! 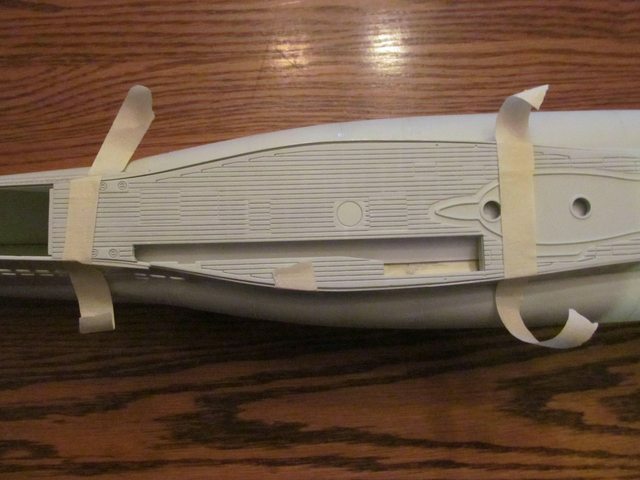 Here is the tool I am using to texture the welded plates of the hull. 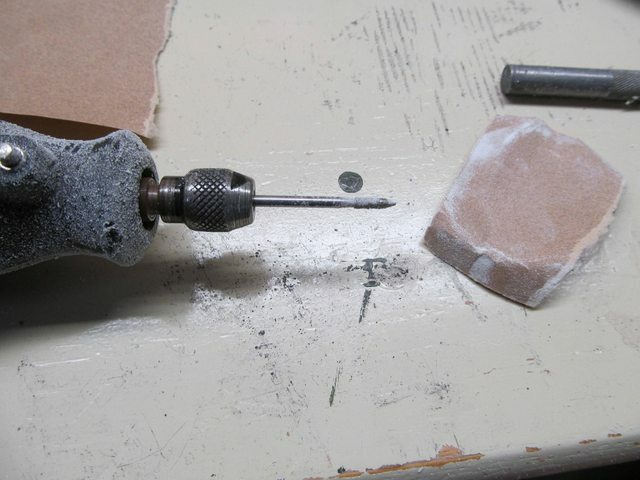 It is a diamond-crusted Dremel tool. Easy to control and does a nice texturing job. If you let it "dig" just slightly in places you get nice, convincing, scale, dents. I'm almost done with the oilcanning. 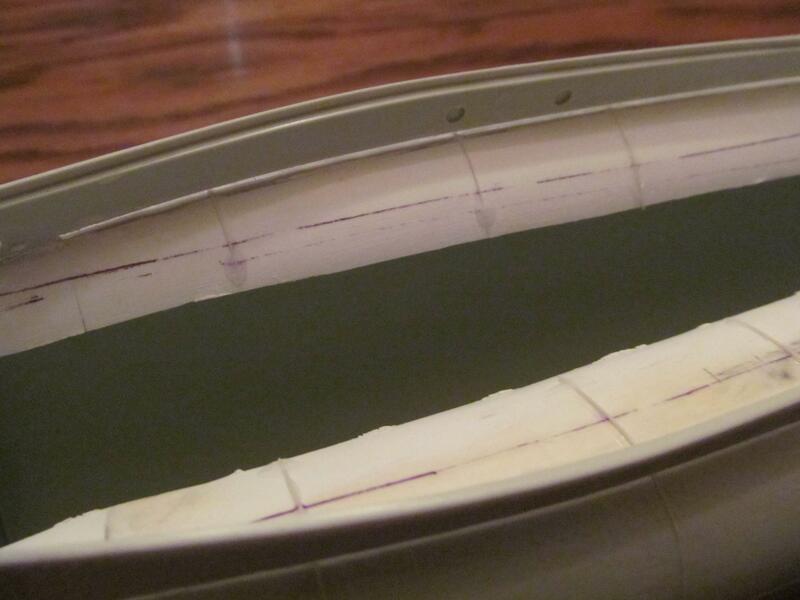 Then I'll texture the remaining hull half. 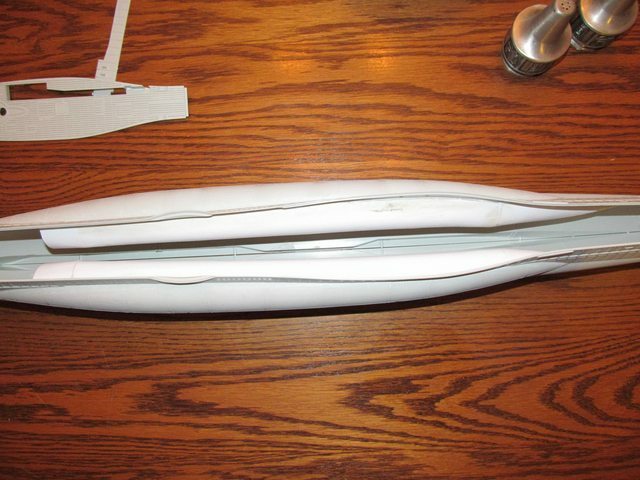 Then it's on to the ribs over the saddle tanks behind the casing. Saddle tank extensions in place. Notice I made tapered pieces for the front of the tanks as well. 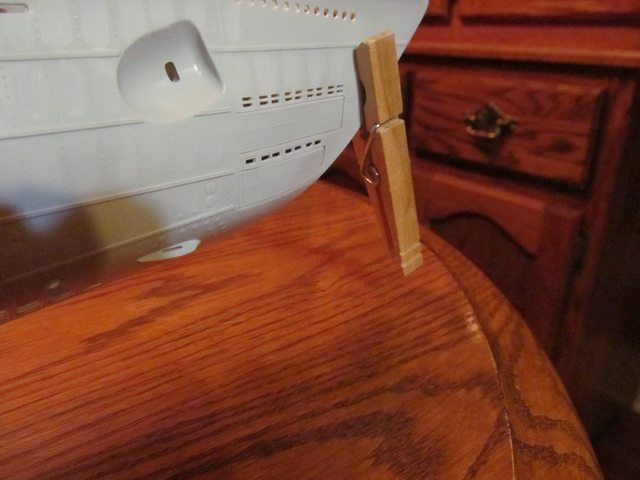 These actually extend much farther into the hull than necessary. Once the pressure hull roof is in place, only a small lip will remain. Deck positioned in place. 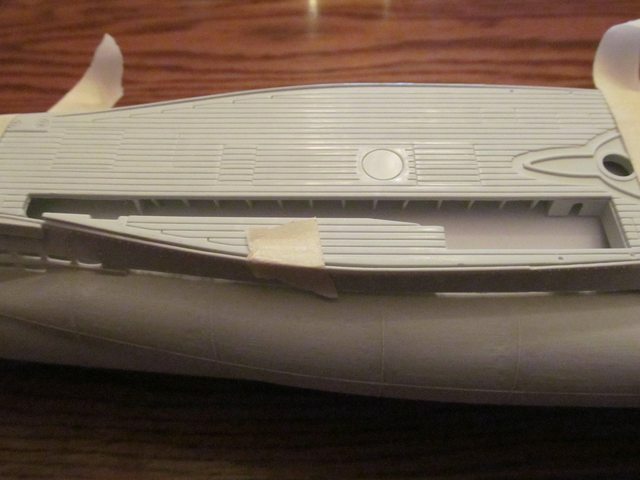 I have removed most of the "box" attached to the bottom of the Revell deck, leaving only support frames, except for the hinge portion that the snorkel will attach to. 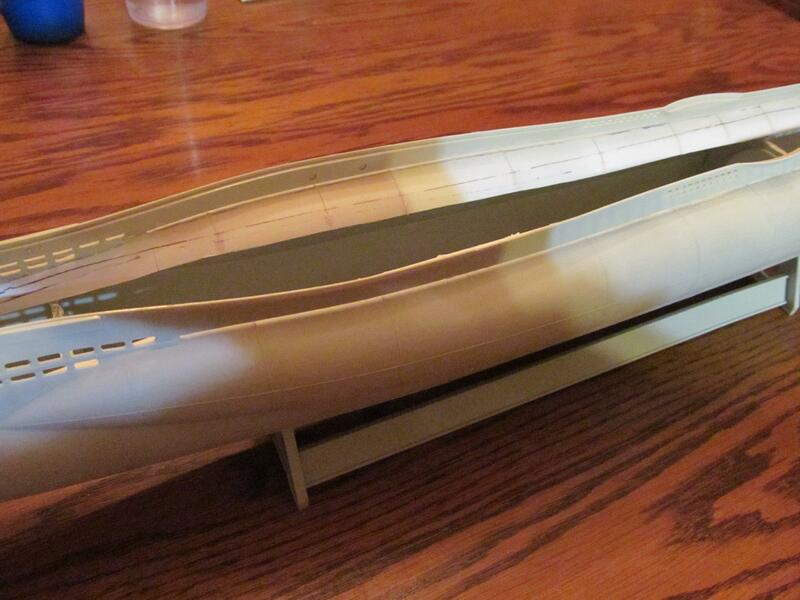 You can see the roof of the pressure hull and the portion of the saddle tank inside the deck casing. You will notice that on the schematics of the Typc VIIC that the saddle tanks do not actually follow through to intersect the pressure hull. 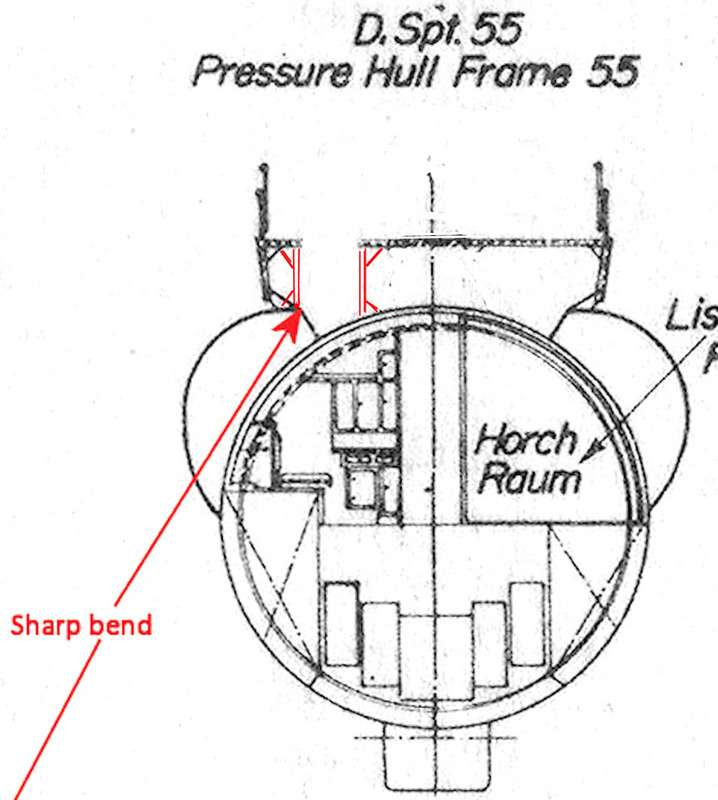 There is an angular down-slope just inside the casing that angles down to the pressure hull. I decided not to try to model that. The only place this will be seen is through the snorkel opening. 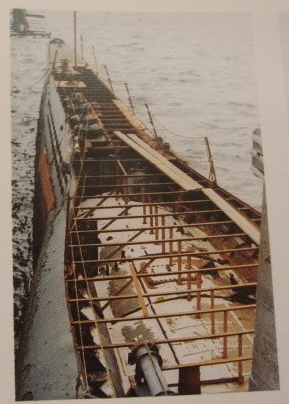 In this photo of U-995 you can see the hydraulic motor for the snorkel, the saddle tanks, and the roof of the pressure hull, and how they intersect. More progress. I have trimmed up the saddle tank interior extensions and re-created the missing weld bead across the top of the saddle tanks using stretched sprue. 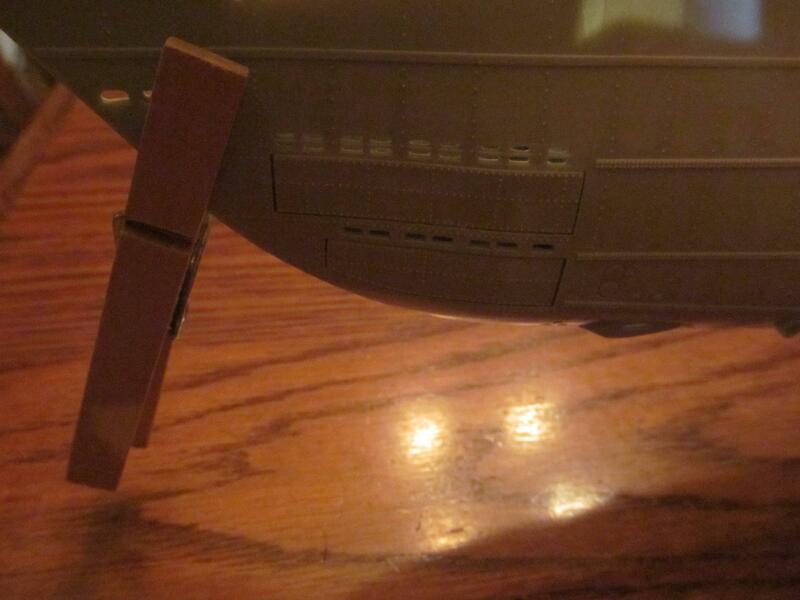 Torpedo doors in place. 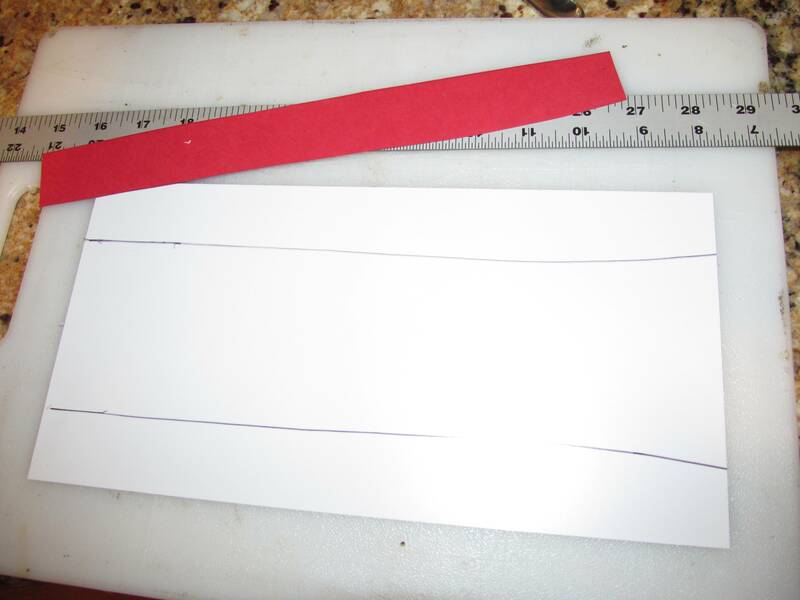 Next step is to make and place all the ribs along the saddle tank tops. Wow, that's a lot of vent's/drain's you've opened up. Nice work! I'm looking forward to seeing more progress, subs from WW2 are definitely an interest of mine. All that tedious work has paid off.